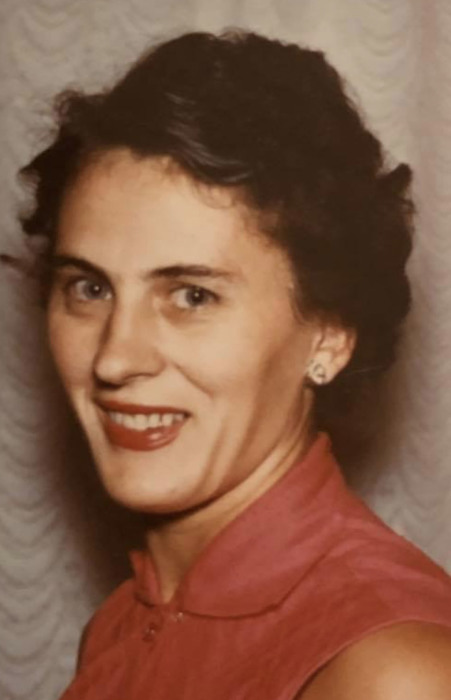 Obituary for Hildegard C. Antonelli | Hartzler-Gutermuth-Inman Funeral Home Inc.
Hildegard C. Antonelli, 98, of Elkhart, died on Sunday, March 10, 2019 at Courtyard Healthcare Center in Goshen. She was born October 8, 1920 in Berlin, Germany. She was preceded in death by her son Jimmy Peeples. Hilde attended St. Thomas the Apostle Church. She enjoyed sewing, woodworking and playing cards. She was a Cub Scout Den Leader and was great at that since she also loved crafts and tools. She had been employed by Miles/Bayer Laboratories. Her husband, Leonard Antonelli, of Elkhart, is left to cherish her memory along with her children, Dan (Jan) Peeples of Indianapolis, Monika Antonelli of Mankato, MN, Michael (Cathy) Antonelli of Bristol, David Antonelli of Mankato, MN, five grandchildren and six great grandchildren. Visitation will be held on Friday, March 22, 2019 from 3PM to 5PM at Hartzler-Gutermuth-Inman Funeral with a memorial service immediately following at 5:00 p.m. Father Jason Freiburger of St. Thomas the Apostle Catholic Church will officiate and burial will be at a later date at St. Vincent Cemetery. Hilde’s family will also receive friends and family immediately following services at the I.A.R.A. at 401 Harrison St. Elkhart.